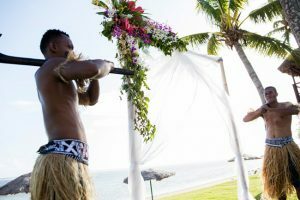 Celebrate your special day at the Outrigger Fiji Beach Resort (formerly Outrigger on the Lagoon) where modern weddings are made unique with customs of a beautiful ancient culture. The resort offers flexible wedding packages with several options to create the perfect destination wedding. 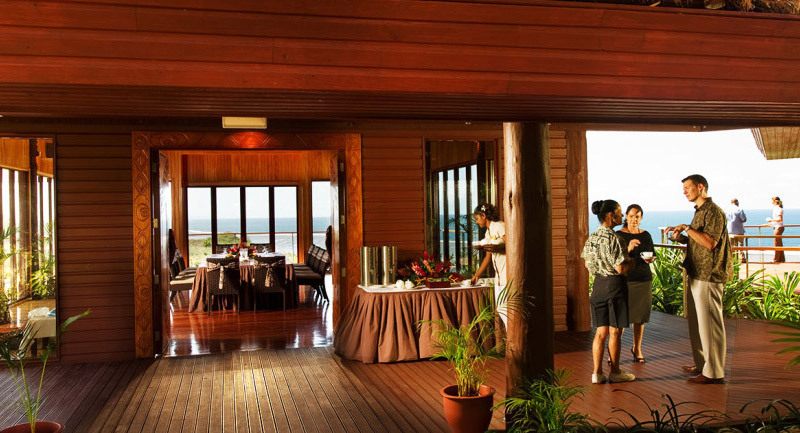 The resort creates an authentic Fijian ambience by replicating the look and feel of a traditional island village. Traditionally the home of the village chief or priest would be built at the highest point of the village and, in true design, the Bure Ni Loloma (House of Love) wedding chapel boasts a lovely hilltop location high above the rest of the resort with sweeping views of the Coral Coast. 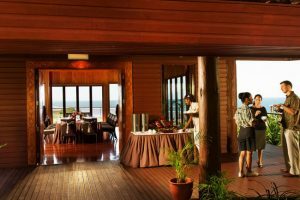 Your honeymoon is only footsteps away with romantic dinners for two at the award winning Ivi restaurant, swimming in one of the South Pacific’s largest pools or at Vahavu (the adult’s pool facility which includes a swim up bar), and cozy nights in the resort’s deluxe accommodation. 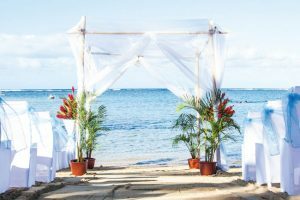 The Outrigger Fiji Beach Resort’s Dream Wedding Package includes your wedding ceremony and reception for 50 guests PLUS 4 nights accommodation in a Deluxe Ocean View Room including the legendary Talai Butler Service. 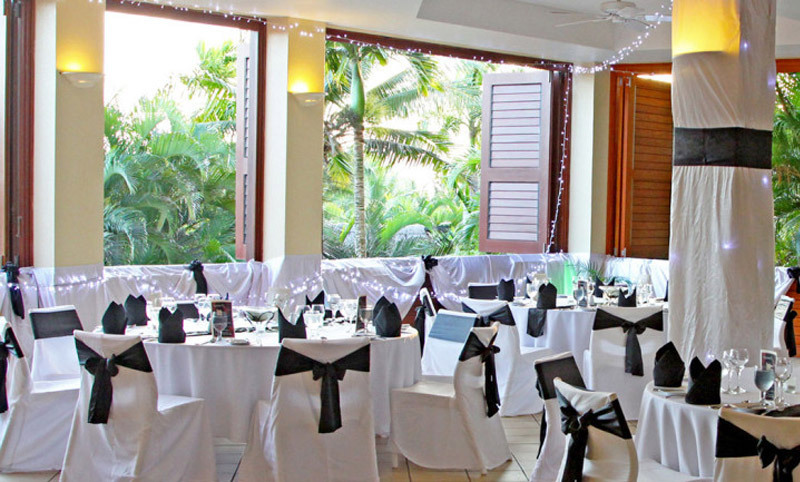 4 nights accommodation for the Bride & Groom in a Deluxe Ocean View Room. Including Talai Butler Service. 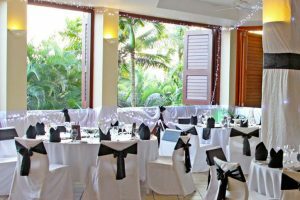 Accommodation upgrade to Plantation Bure for bride and groom : Upgrade the 4 nights Deluxe Ocean View (DOV) room to a Plantation Bure (PLBU) or the next best available room category above DOV. 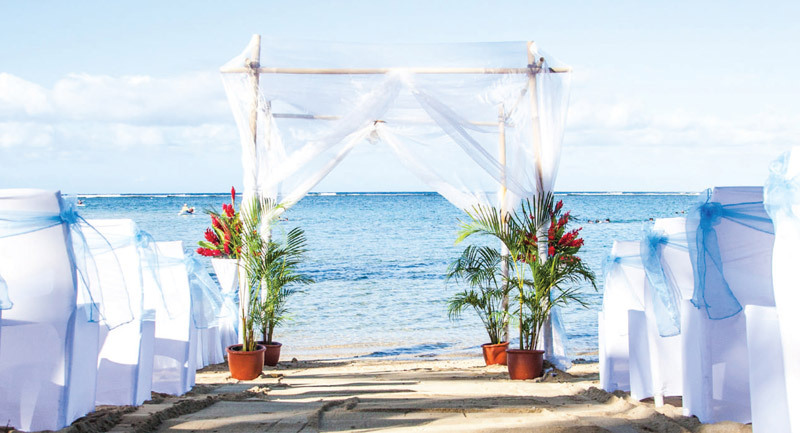 4 nights return stay on your first wedding anniversary : Celebrate your 1st anniversary in Paradise with a 4 night’s stay at the Outrigger Fiji Beach Resort in a Deluxe Ocean View room. 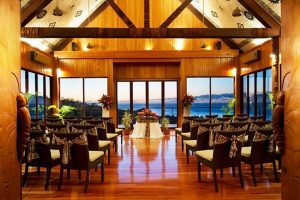 Located on the hilltop, Bure Ni Loloma Chapel offers Fiji’s most spectacular wedding venue, uninterrupted views over the Pacific Ocean. From the local authorities includes cost of license. 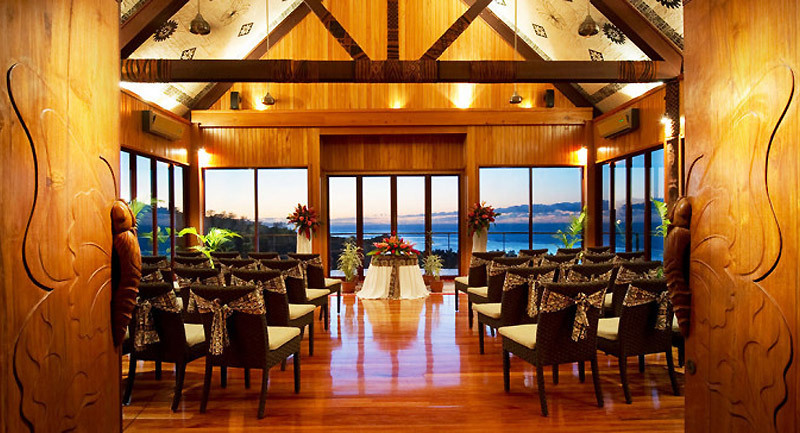 Marriages in Fiji are recognised worldwide. 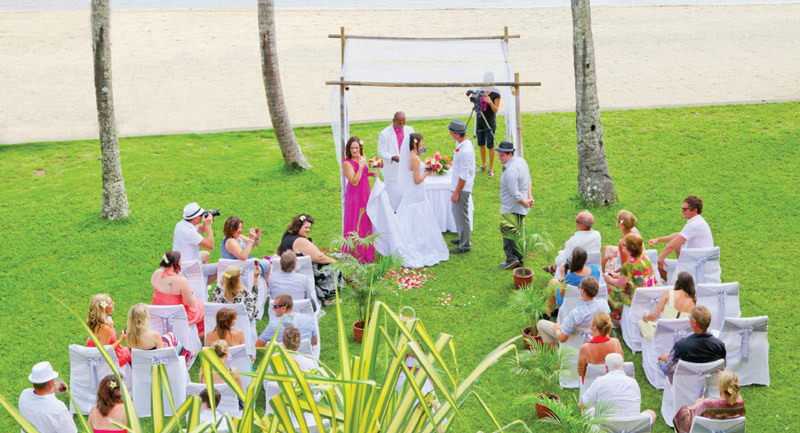 Personalised service assisting in every aspect from our dedicated and experienced wedding planner in Fiji and New Zealand. An ordained Minister by the church or an official representative from the Registrar to officiate the ceremony and assist in the ceremony vows prior. Traditional fruit cake, chocolate, vanilla or black forest. A bottle of French Champagne to toast. 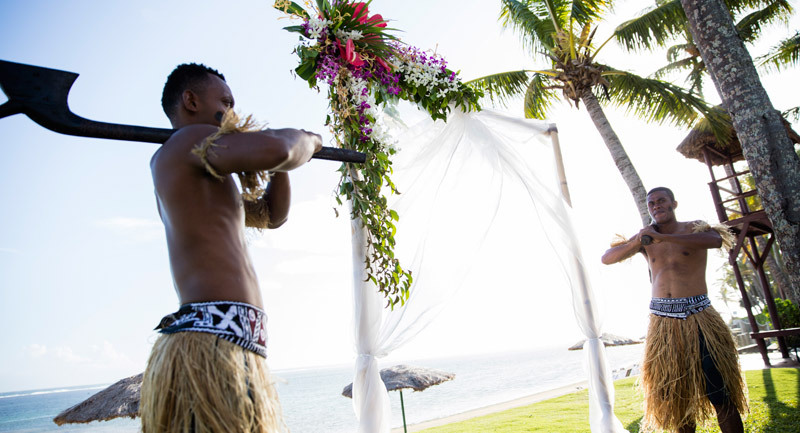 The sounds of three guitar strumming Fijians playing on your special day. Exclusive dining overlooking the ocean in a private Beachside Bure located on water’s edge. Champagne Breakfast served to your room the morning after the wedding. Special VIP accommodation status will be extended to the wedding couple. 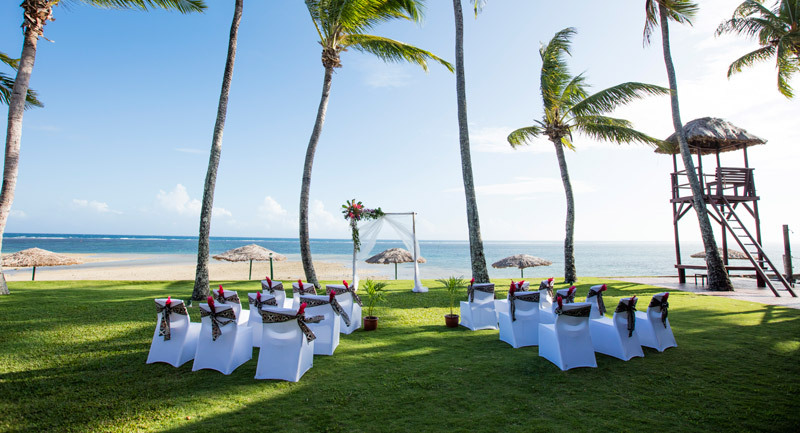 The lush tropical garden of the resort offers the perfect setting for a memorable wedding in paradise. Traditional ceremonial mats, tapa and red carpet. A bottle of Australian sparkling wine to toast. In our signature restaurant the “IVI”. Beachside with spectacular sunset background. White sandy beach with a sunset background. Tropical garden setting with an ocean backdrop. Opposite Sundowner Bar & Grill, adjacent to the beach. Season blooms bouquet for the lady. Orchid or frangipani for the buttonhole of the gentleman. Colourful tropical flowers for decoration of the venue. 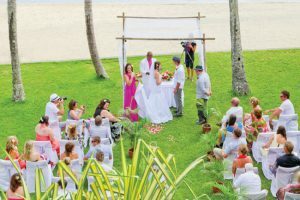 We are specialist Fiji wedding planners and travel agents with over 40 years experience working in this magnificent archipelago. 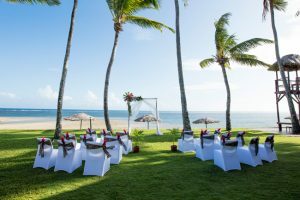 We work with brides and grooms from New Zealand and around the world taking the stress out of planning and co-ordinating their dream Fiji wedding and guest travel arrangements. 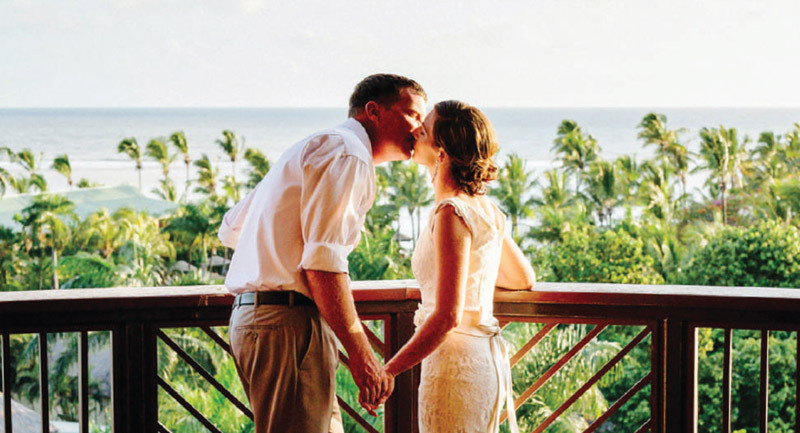 Our experience and contacts remove the stress out of planning a destination wedding – no matter how big or small.